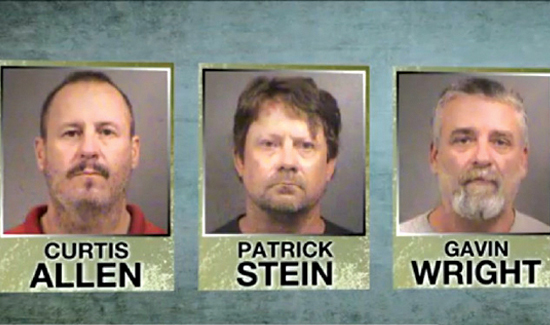 According the USA Today, three members of an anti-Muslim group known as the Crusaders had planned to bomb an apartment complex and mosque in Garden City the day after Election Day. Per the FBI, they did not want to interfere with the election. The group was targeting Somali immigrants in the area and had been monitored for months by law enforcement through a paid informant. However, they moved in on the Crusaders earlier this week following a domestic violence incident involving one of the members and his girlfriend. She ended up showing police the group’s weapons and helped disclose their plans. “Unless a lot more people in this country wake up and smell the (expletive) coffee and decide they want this country back … we might be too late. If they do wake up … I think we can get it done. But it ain’t going to be nothing nice about it,” Stein was recorded as saying, according to the federal affidavit. Which Firearm Would You Buy With $1,500?